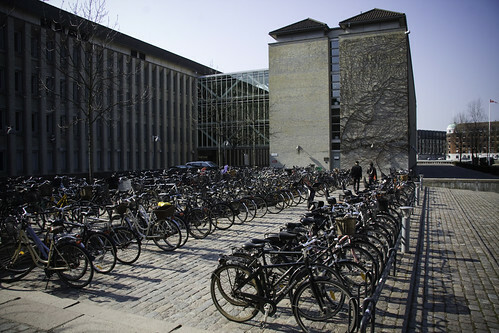 I've met the Danish ambassador to Czech Republic on two occasions and whenever he speaks about Danish bike culture he mentions the bicycle parking outside the Ministry of Foreign Affairs. I was at a meeting there a couple of days ago and figured I'd take a photo of the massive amounts of bicycles parked there by the staff. There are also ministry bikes for the employees to use to get around town for meetings.